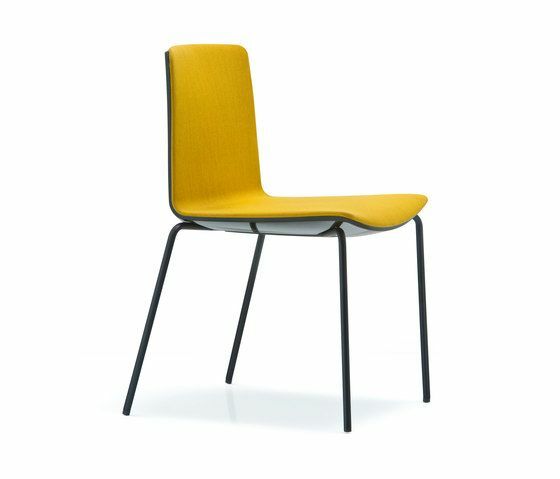 A chair which combines the elegance of its perfect proportions to the comfort of the seat, all thanks to the innovative construction technique. The seat is upholstered and contained in a polycarbonate shell with a glossy outer surface. The upholstery can be in fabric, leather or eco leather, the legs are chrome-plated steel or powder coated. Noa is stackable. The upholstery range in combination with the colours of the shell offers a wide range of possible customizations and solutions for both residential and contract furnishings.